It’s been an action packed year this year, full of new markets (see my home page for upcoming dates) and product development, fabric design, the Artist in the Park program and of course my looming exhibition, which is starting to feel a little too close for comfort. One of many exciting things to happen this year is that I have found a printer in Australia so I no longer have to send my design files off to the US. 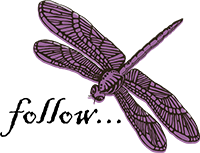 There are a number of benefits to this: I’m supporting another Australian business, which is great; my products are now even more ‘made in Australia’ than they were before; I have a new and huge range of base cloths with loads of possibilities to choose from; I’m not crippled by horrible exchange rates; postage is much less – and my parcels no longer get lost (this became a real issue recently – parcel after parcel disappearing down the deep dark FedEx black hole). 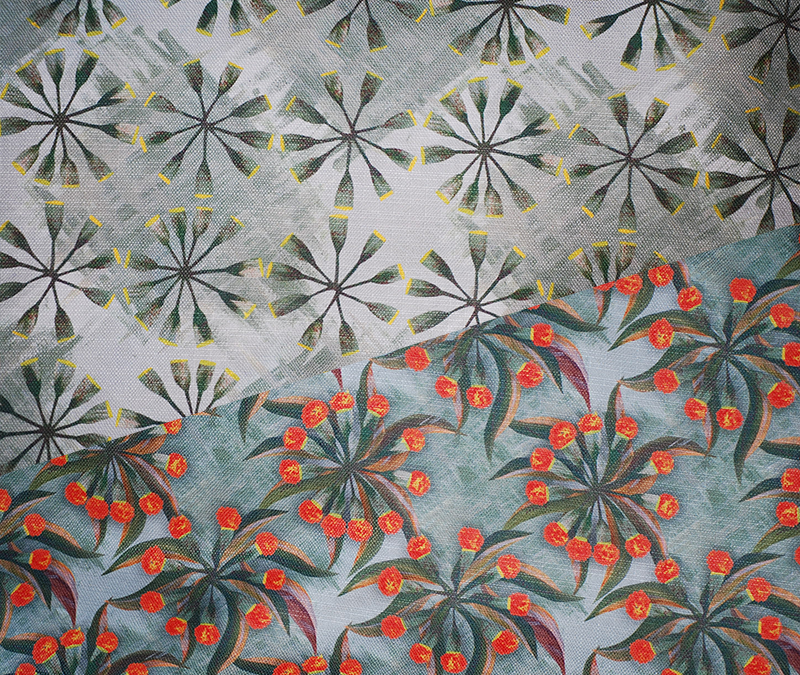 In celebration of my first – and truly wonderful – print run from my new printer I’m sharing a sneak peek of two coordinating fabrics that will be featured in my exhibition later this year: wattle blossom and wattle pod. These are printed on a fantastic chunky weave fabric called Zara, which has a gorgeous sheen and I think is set to become a firm favourite of mine. My second print run was sent to production yesterday and I can’t wait to see the results. Yesterday my parents appeared briefly on the national morning television show Sunrise having won the ‘cash cow’ prize the day before (how exciting!). 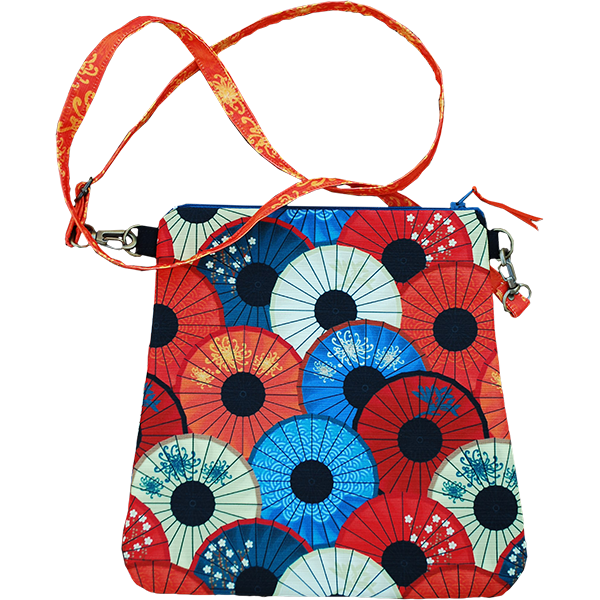 I gave Eddy, the presenter who spoke to them this gorgeous little bag from the slimline totes collection and she gave it a little plug which was unexpected and very cool indeed. The ‘umbrellievable’ slimline zippy tote – gifted to Eddy from Sunrise had a moment of fame on the national morning program Sunrise yesterday morning. In other news, I was commissioned this week to design a ‘save the date’ fridge magnet for an upcoming marriage. 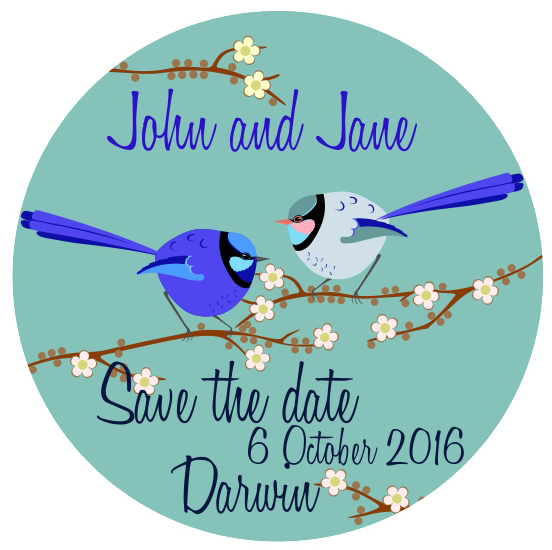 I based the design on my new splendid fairy wren design and I’m very happy with the results – as is the bride to be, which is of course the important thing. You can see this below (the names and dates have been changed to protect the innocent!). I’m thinking there could be lots of potential to do these kinds of things – for births, marriages, significant anniversaries and birthdays as well as for business. I did a bunch of magnets for a Darwin arts organisation last year, which they gave to friends and supporters as a small Christmas gift. This afternoon I am off to get acquainted with a pair of magnificent red tailed black cockatoos at the Territory Wildlife Park. It will be my mother’s last trip to the park with me as she and my father leave us for their annual sojourn to Bowen in Queensland on Monday. Last week we met the gorgeous Penny, a peregrine falcon, who posed for us for an hour while the dingoes howled in the background. Peregrine falcons prefer rocky outcrops and so more can be found in central Australia than the top end. They can also be found roosting in cities, particularly on tall buildings. While they are not a large bird they are extremely powerful and fast and knock other birds out of the air as well as bowling over rabbits and other small furry critters for lunch. In fact, being very fond of rabbits and feral pigeons, they get gold stars from me for their taste for these introduced pests. Penny the peregrine falcon was a fantastic subject. Check out those powerful legs! 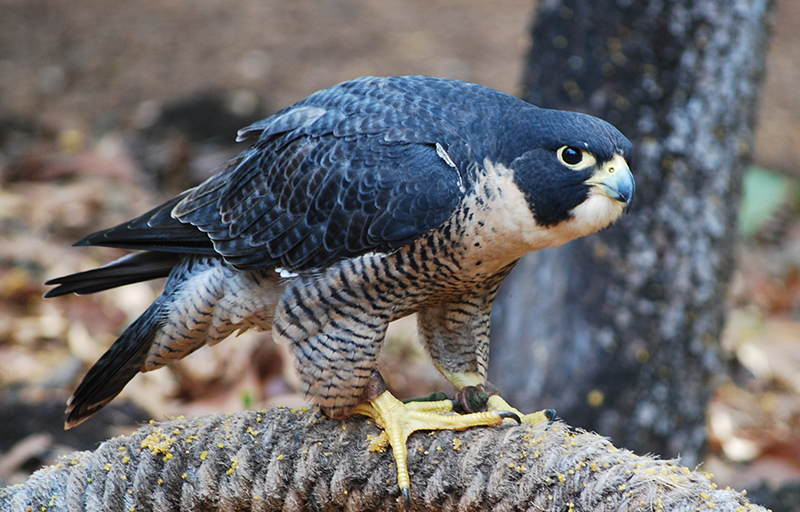 These birds can take out prey larger than themselves. On the matter of birds, I am happy to report that Ozzie the osprey was found – he had been unable to catch food for himself and was looking very thin but has been nursed back to health by his loving keepers and is back in the birds of prey show at the park. Mum and I heard quite a bit about the weight of the birds last week, which is closely monitored by the bird handlers. It had never occurred to me that a bird can get overweight – but of course they can – and it affects their interest in flying and therefore their ability to perform in the birds of prey show where they catch fish or bits of meat thrown into the air or water. 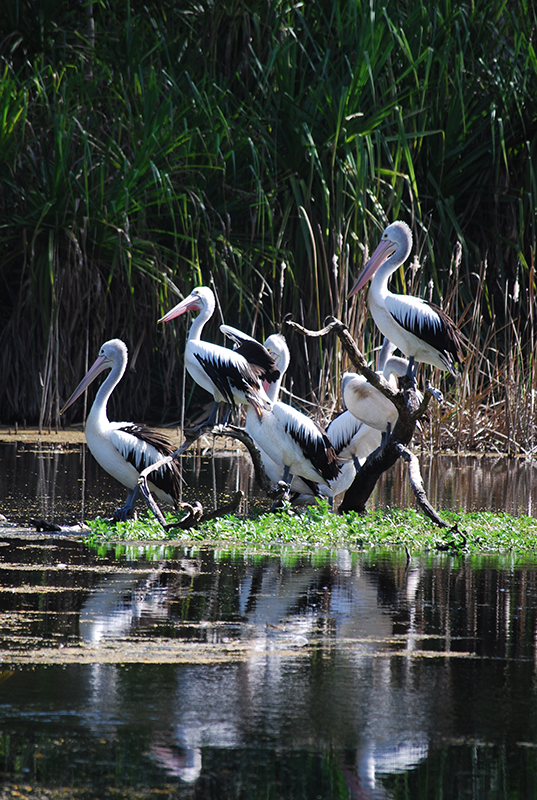 Last week we also visited the billabong, which is quite beautiful and home to a number of pelicans and masses of turtles, just to name a couple of inhabitants. 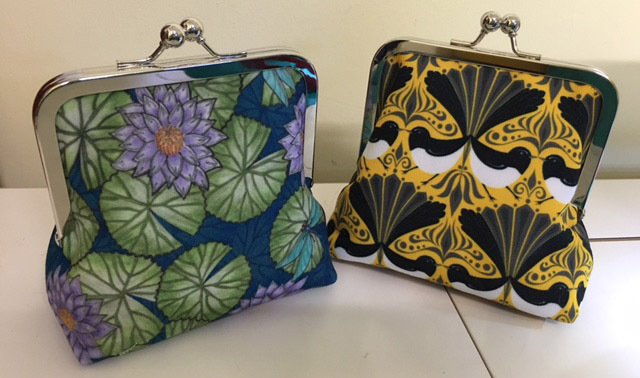 I took some great photos of them and water lilies too – I’m working on a new design from my lily photos that is quite different from anything I’ve done before. On that note – it’s time to get back to work!